A common habit that designers share sticking to familiar color palettes which work for them. The trouble is that the lack of experimentation with tones, hues, and shades will make nearly all of your projects feel the same. That is where color palette generator come handy! The creative freedom is something that should drive designers work and keep them innovative, and choosing the right color list can inspire them even more. The first thing that a viewer subconsciously registers are the colors on your client’s website. Their job is to communicate a brand’s personality and ideas while also influencing the visitor’s perception. With colors having such an important role, every designer should take time to learn and play with different color palettes. When your creative inspiration hits a dead end, having a color scheme generator can get you back on track. Adobe Color Wheel (also known as Adobe Color Picker) is an online color palette creator which you probably already have bookmarked in your browser. The tool is essential for designers who use Adobe CC for their projects because it allows users to save color palettes and upload them as swatches. So, in a way, it can also serve as a color swatch generator. We bet that Galen Gidman who started this project had no clue that his fun little website could gain such popularity. What started as a small database of famous brand colors now is the biggest collection of official color wheels! In case you wondered what colors the world’s leading brands use, visit this amazing website. Sometimes you have an idea of a color palette you want to use, but you just do not know how to fit it into your project. This is where Cohesive Colors come in handy! The tool allows you to enter your color palette and then add an overlay tint using a color of your choice. And the best thing is – you can add as many colors as you like! Color Hexa is not your average color palette maker. It is so much more! 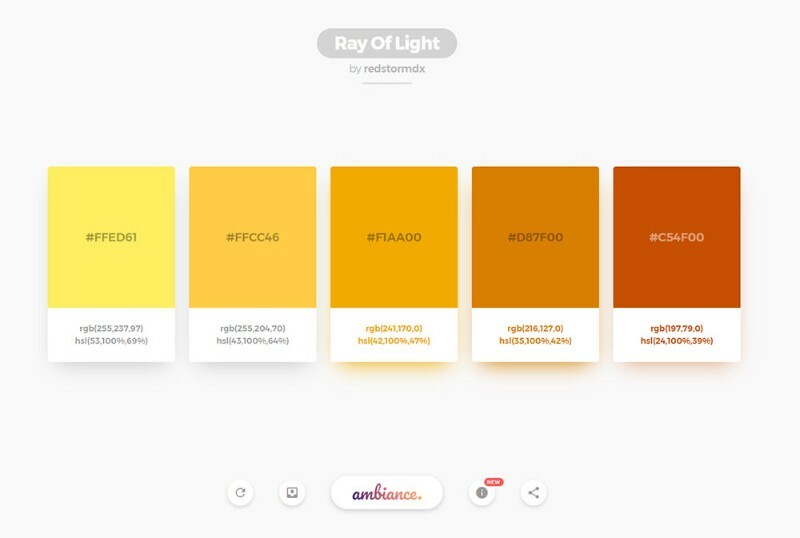 The website provides a free color tool which gives you information about any color, and it generates a matching color palette for your project. The amount of information this website offers you is staggering. It is no wonder why its creators refer to it as “color encyclopedia”. ColorHunt is a random color palette generator as it is updated daily with new community created color wheels. The website looks simple and elegant, and you can easily find what you are looking for. In the website’s header, you have a drop-down menu which allows you to choose “New”, “Hot”, “Popular”, or “Random” color palettes. The interface of this tool is amazing. It offers quite a lot of features, besides being a palette generator. Once you press “Generate” button, the website will display a customizable palette with a set of options. Here you can edit each color, drag and drop it to find the perfect order, expand colors, and change some basic display settings. Additionally, Coolors can serve as a color palette generator from the image you upload or provide as a link! Paletton is a mean color scheme picker with overwhelming customization options. You can either choose predefined options or boldly create your own unique palette. Tweaking your palette with one of the twenty-four preset effects is just the cherry on top. Another great thing about Paletton is that it provides live samples of the color schemes you create, such as pulling up a website sample based on your palette, artwork, and animation. Using the tool you can see how your palette will appear for viewers with color-blindness. And after you are done and happy with the palette, you can export it in different formats, such as PNG and even CSS code. If you need some flat UI colors or if you are taking the color palette to the third dimension, this tool is what you need! 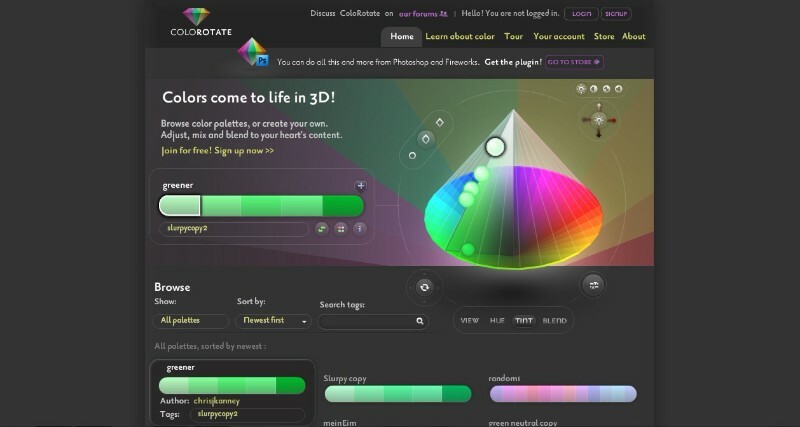 ColoRotate allows you to create palettes in a three-dimensional color wheel, whether you start from scratch, upload an image, or use a pre-made setup. On a first glance, the tool looks quite complex, but it pays off. 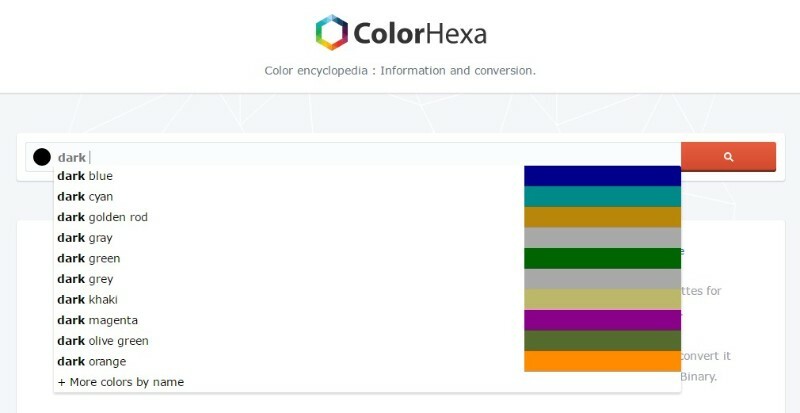 Similarly to Color Hexa, the website offers much information on the color you want to use. When it comes to palette generators, Mudcube may be the most fun one to use. Under “Harmony” menu, the tool gives designers a lot of color customization options, ranging from neutral to six-tone. All you have to do is select a base color and the desired option, and play with the sphere until you are happy with the result. Mudcube also has the option for you to see how a color-blind person will see your color schemes. When you are finished, you can export the palette as an Adobe Illustrator or Photoshop file, or even as URL. If you are concerned about Web Content Accessibility Guidelines (or WCAG), look no further. This tool generates color schemes that offer rich contrast and blend amazingly, and also great readability. First, you set up canvas and text by choosing a background color, font family, font size and weight, and WCAG standard (AA or AAA). Then you click the button, which opens up a screen with color palettes. Using Color Safe is the best way to ensure that your design project is compliant with WCAG guidelines. 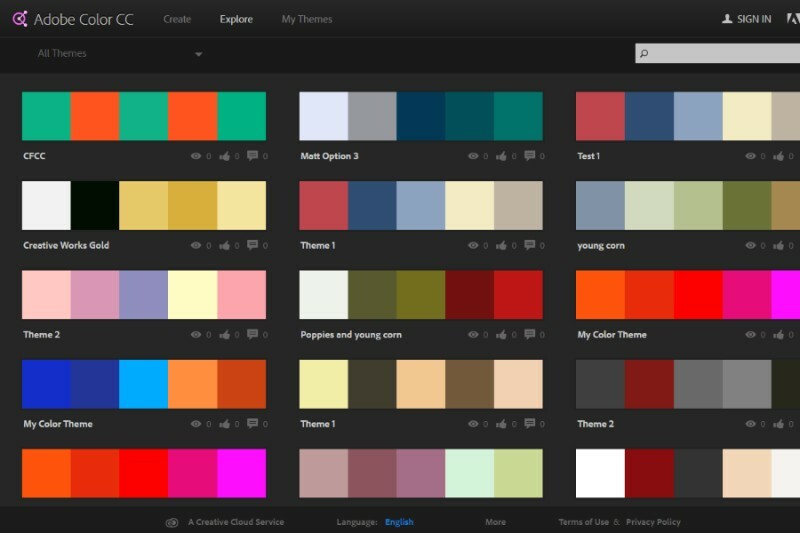 Developers of Ambiance are aware that designers often get frustrated when choosing the right color scheme for their project, so they created this web app which offers color palettes for everyone to use. The interface is simple and user-friendly, allowing you to get different color palettes with just one click. You can save the ones you like. Some creative minds find inspiration in pictures, and this tool allows them to create a color scheme from a photograph or an image. The process is simple; the web app asks you to choose an image from which it will draw its color scheme. Creating or choosing the right color scheme for your designing project can sometimes be a nuisance. 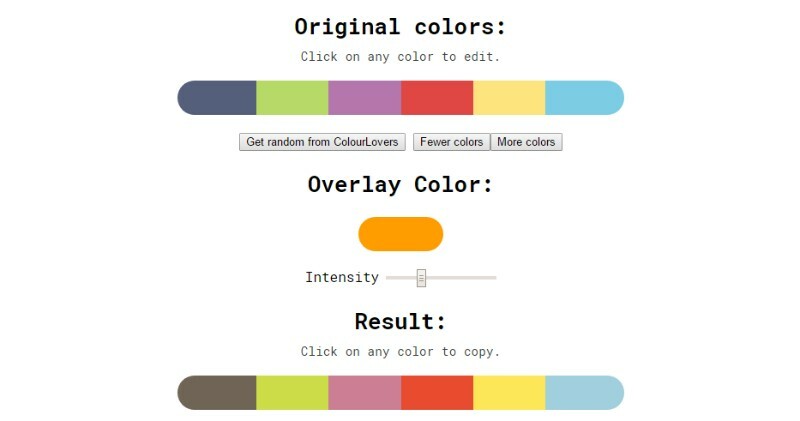 That is probably the motivation behind people developing color palette generators. When you are working on a few projects at the same time, these tools can help you speed up the process, but at the cost of your creativity, so use them wisely. You do not want your projects to look the same or similar, right?